Sharon Osbourne has an exciting career as a television star, and on her reality show, The Osbournes, she introduced the world to her love of animals. While she's had many pets over the years, currently she has eight: two cats and six dogs. Sharon is a busy working mom. About her furry friends, she's said,"They're such company. I rescue them all. I'm their hotel. I even babysit my friends' pets. And I have a full-time nanny just to care for them." Sharon and her family love to travel so much that even her pets have passports! Even Bella has a passport now! 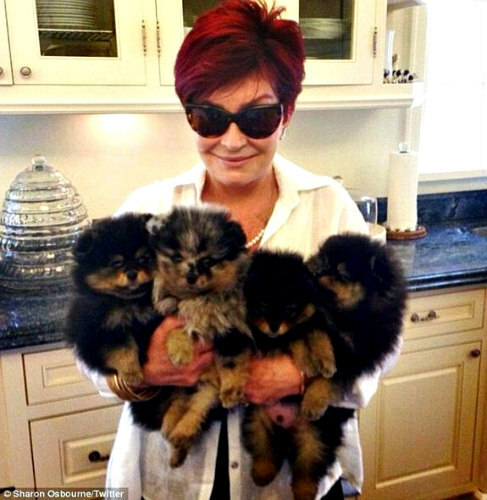 Do you love your pet *almost* as much as Sharon Osbourne? Enter your furry friends in Page-A-Day's pet contest now and share your love with the world! 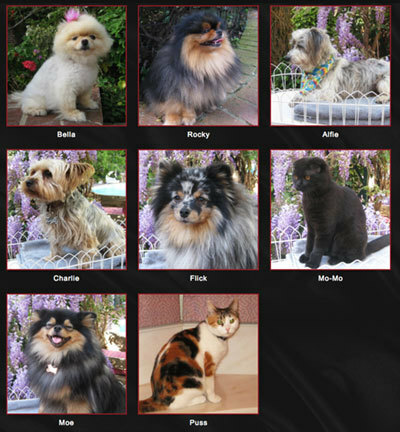 Each year, we publish hundreds of pets from our community in our bestselling 365 Dogs and 365 Cats, and on our website and social media channels. It only takes a few clicks to enter!